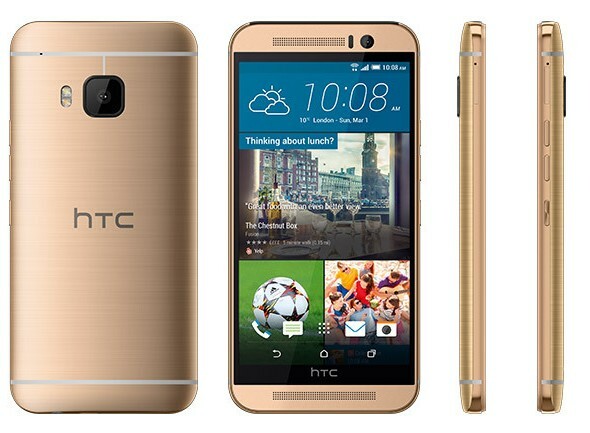 Just a few hours ago, the HTC One M9 was spotted for preorder in the UK. The device was listed by the Carphone Warehouse and it goes for £850, off contract and free on a £43.50 a month plan. This is all fair enough, but the deal is for a unit in silver or one in "Gun Metal Gray". If, however, you are lusting after the all-gold version, you'll have to go with EE. The device is currently going to be exclusive to the carrier and is offered for £99.99 with a £36.99 per month plan. If you want you can reduce the upfront cost to £19.99 with plans starting at £46.99 per month. Sadly, the gold One M9 can't be purchased off-contract. Both Carphone Warehouse and EE deals are up now and both vendors state that the One M9 will start shipping to clients by the end of the month. By then HTC DOT View II cases will also be available, which Carphone Warehouse even throws in as a free pre-order bonus. Both the Silver & Gray are £579.99 but the Gold version is £850! Guess it must be made of real Gold...haha!! The Silver one is the best version and the Gun Metal Gray is not bad either.